Thanks to one of our sponsors USE, I have a brand spanking new set of fully-charged EXPOSURE LIGHTS, which I will use to blaze my way through some pretty harsh terrain. These of course will be mounted on my new KONA KULA SUPREME – yes the Titanium Bontrager has gone into retirement. The KULA SUPREME is Scandium though and weighs less than my road bike (almost dead on 20lbs). I’ll have the control of ERGON GRIPS and will be Lubed up with PURPLE EXTREME, which has the viscosity of water, but goes on and on and on. If I fall off, my cool TREK HELMET should save me and in the vague event of rain and mud (ala Mountain Mayhem UK), I can wash my bike down with DIRTWORKER. We may not be using this in Spain, but you bet your life we’ll be using it in the UK. (Links to all these manufacturers will be up soon (when I get back from Spain). I’m not one of the sponsored riders, so at the moment I’m missing some BONTRAGER TYRES, NIKE SHOES and a USE SEATPOST and BOTTLE CAGE, but hey, all our sponsors were very generous and have fully kitted-out a vast number of our top riders. 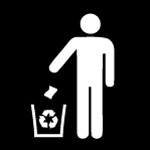 I’m a ‘has been’, so just have to scrounge what I can! 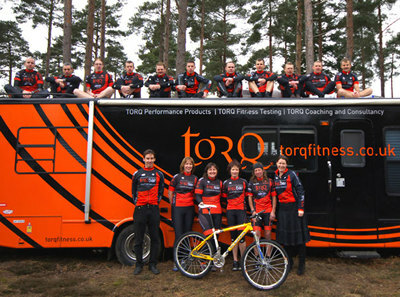 Team TORQ BAR continues with riders being fuelled by TORQ, coached by TORQ, but riding their own familiar trusty steed. 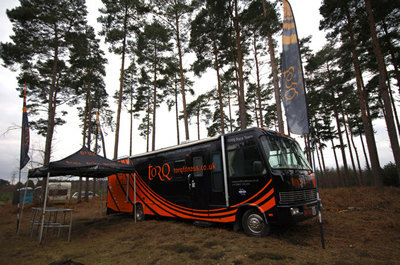 You’ll also have noticed that TORQ’s brand spanking new RV (Recreational Vehicle) also made its maiden voyage on Saturday. 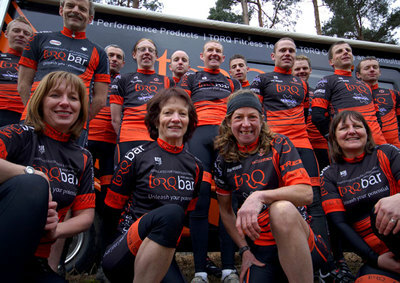 The ‘TORQ Challenger’ is fully equipped to support the team in their quest for headlines this year. 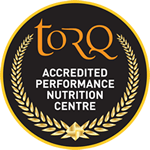 The TORQ Challenger runs on LPG, which is a waste product of petrol manufacture. When it burns, you get carbon dioxide and water (and POWER) – and that’s about it.  Shame we can’t do anything about the CO2?